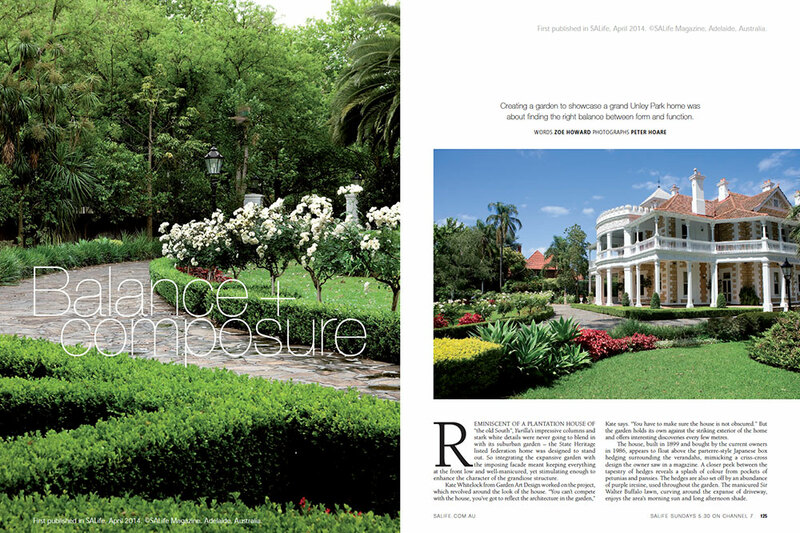 Creating a garden to showcase a grand Unley Park home was about finding the right balance between form and function. REMINISCENT OF A PLANTATION HOUSE OF “the old South”, Yurilla’s impressive columns and stark white details were never going to blend in with its suburban garden – the State Heritage listed federation home was designed to stand out. 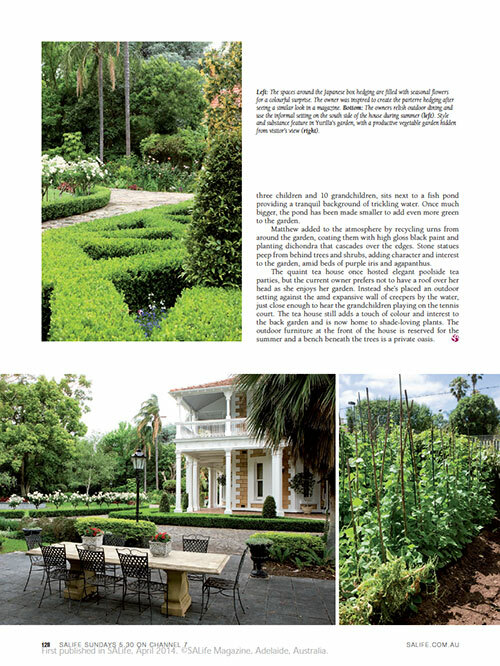 So integrating the expansive garden with the imposing facade meant keeping everything at the front low and well-manicured, yet stimulating enough to enhance the character of the grandiose structure. 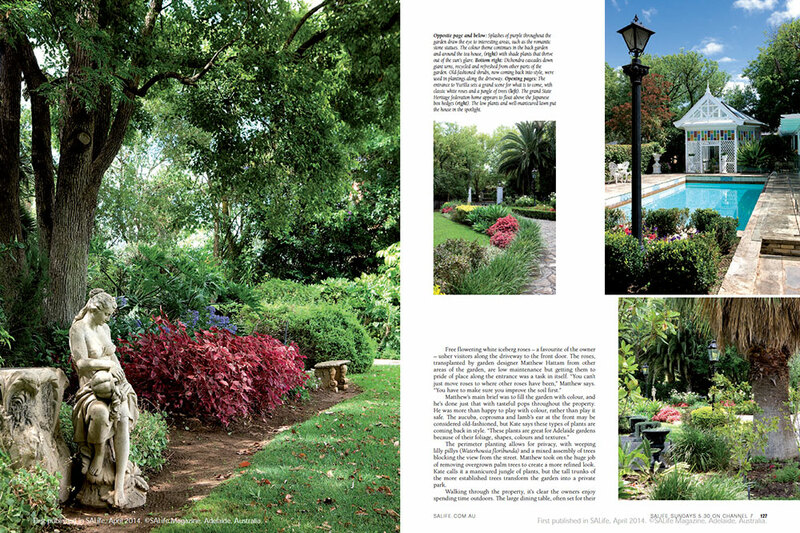 Kate Whitelock from Garden Art Design worked on the project, which revolved around the look of the house. “You can’t compete with the house, you’ve got to reflect the architecture in the garden,” Kate says. “You have to make sure the house is not obscured.” But the garden holds its own against the striking exterior of the home and offers interesting discoveries every few metres.